An article published in “The Astrophysical Journal” reports a precise measurement of the duration of the day on the planet Saturn. 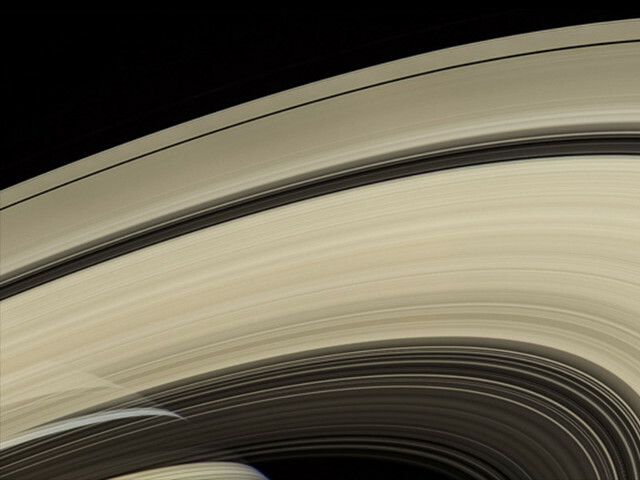 The lack of a solid surface with reference points and a magnetic field with unusual characteristics prevented precise measurements, but now a team of researchers led by Christopher Mankovich of the University of California, Santa Cruz, (UCSC) accomplished that feat by exploiting data collected by the Cassini space probe on the effects that the vibrations inside Saturn cause on the oscillation of its gravitational field and consequently also on the rings. The result is that the day on the planet was measured in 10 hours, 33 minutes and 38 seconds. The idea of ​​using Saturn’s rings to study the planet’s seismology is anything but new since it was first suggested in 1982, when it was purely theoretical due to the impossibility of conducting accurate enough measurements. Mark Marley of NASA’s Ames Research Center, one of the authors of this research, developed that idea in his Ph.D. thesis in 1990 showing how the calculations had to be done and predicting the position of some rings features. At the time of Mark Marley’s thesis the Cassini mission was in its planning phase and he pointed out that it could make the necessary observations to test the idea. It took many years to see the actual results but eventually they arrived, particularly in the last phase of the mission, appropriately called the Grand Finale, in which the space probe conducted a series of flights between the planet and its rings. The researchers used the data accumulated by the Cassini space probe to study the wave patterns generated inside the rings. They react to vibrations generated within Saturn and for this reason were compared to seismometers. The vibrations within the planet have frequencies that cause variations in its gravitational field with an influence on the particles that make up the rings. Where the oscillations of the gravitational field resonate with the rings orbits, energy builds up and gets carried away like a wave. Most of the waves observed in Saturn’s rings are generated by the gravitational effects of the moons that orbit outside the rings and the researchers had to look for the characteristics that are due to the planet’s oscillations to understand its internal structure. The frequency spectrum of the oscillations was predicted in a series of models that were compared with the observations conducted by the Cassini space probe in particular in the C ring. One of the main results was the calculation of Saturn day, which until now had been difficult to calculate accurately due to the planet’s characteristics. In the past, some estimates of Saturn’s length of day were conducted based on its magnetic field: in 1981 the one based on measurements made by the Voyager space probes was 10 hours, 39 minutes and 23 seconds, the ones based on other measurements of the Cassini space probe were between 10 hours and 36 minutes and 10 hours and 48 minutes. According to this new estimate the day on Saturn is a little shorter, 10 hours, 33 minutes and 38 seconds. The mission of the Cassini space probe ended on September 15, 2017 with its destruction in the planet Saturn’s atmosphere but the data collected during the Grand Finale stimulated a new series of researches. In that last phase of the mission, maneuvers were performed that were previously considered too risky and the results show that it was indeed a conclusion worthy of an extraordinary mission.